If you don’t know exactly what you want or specify what you want, you’re going to get what the contractor thinks you want. And it could end up costing you dearly! For home remodeling design ideas, inspiration and a whole lot more (including cost estimates), you can search the internet on sites like Zillow and HGTV. You can search by style, cost or room. And what’s really cool is that you can search by specific elements within a room, such as quartz or granite countertops, for example. Share your boards with your contractor so that you’re clear on your objectives. Hiring the first contractor who comes along. Sure, they may seem nice, and they may seem competent, but have you checked them out? What do your friends say about them? Have you contacted their references? Seen their work? Are there any complaints lodged against them? (P.S. : The Better Business Bureau just released its top 10 list of inquiries from consumers, and half relate to home improvement.) 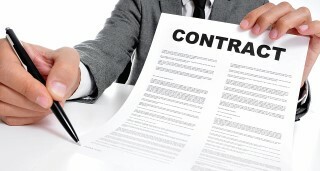 What do subcontractors and suppliers have to say about their dealings with them? Is he/she licensed and insured? As excited as you may be about taking on this new project, you need to do a fair amount of due diligence. A referral from friends or real estate agents are a good way to start your search. In my experience, if I refer someone, it is someone who is good since it is a reflection on me and my business. Jumping at the lowest bid. Get at least three bids, and throw out the lowest one so as to avoid the inevitable consequence: cheap materials, shoddy installation, etc. Don’t invite trouble in! Rather, hire someone who not only comes in within target, price-wise, but is someone you feel personally comfortable with. Not insisting on a written contract. Every detail about your project should be included in a contract, from the start date to the approximate completion date, right down to the brand of fixtures to the number of coats of paint. Be as specific as possible! Also, important: setting a time limit for fixing defects so that if a dispute arises, it’s not endless. Not setting a payment schedule. How you pay a contractor is very important. Spell out the payment schedule in the contract, beginning with the amount to be paid upfront (which should be no more than 30 percent). Periodic payments after the work starts should correspond to completed segments of the project. And the best way to ensure that work gets done when and how you want it? Leave a significant sum (at least 10 percent) to be paid only when the job is completed to your satisfaction.